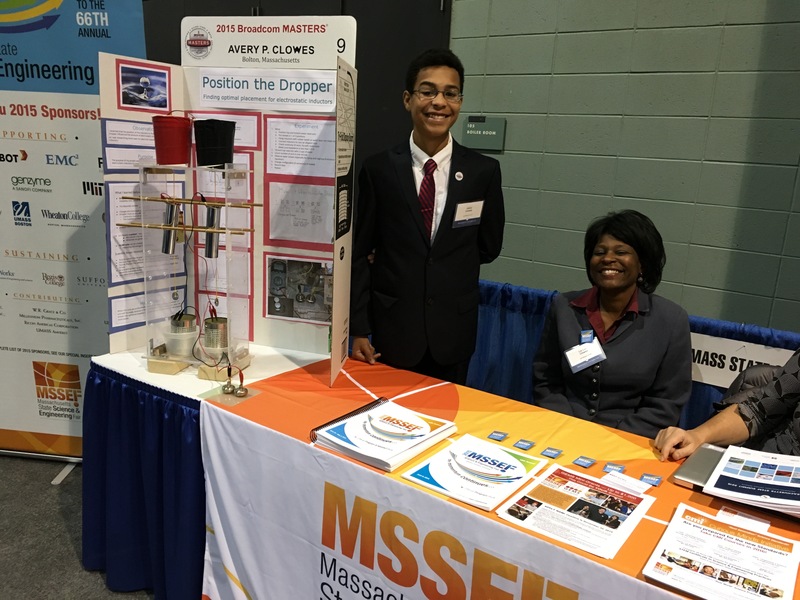 Avery Clowes and proud mom, Liz Clowes featured at the MSSEF Table at the 2016 STEM Summit. Avery P. Clowes, of Bolton, MA, won a first place Science Award for his project on an electrostatic generator. He was also the one student selected by the group members to represent their class as speaker, based on leadership abilities.